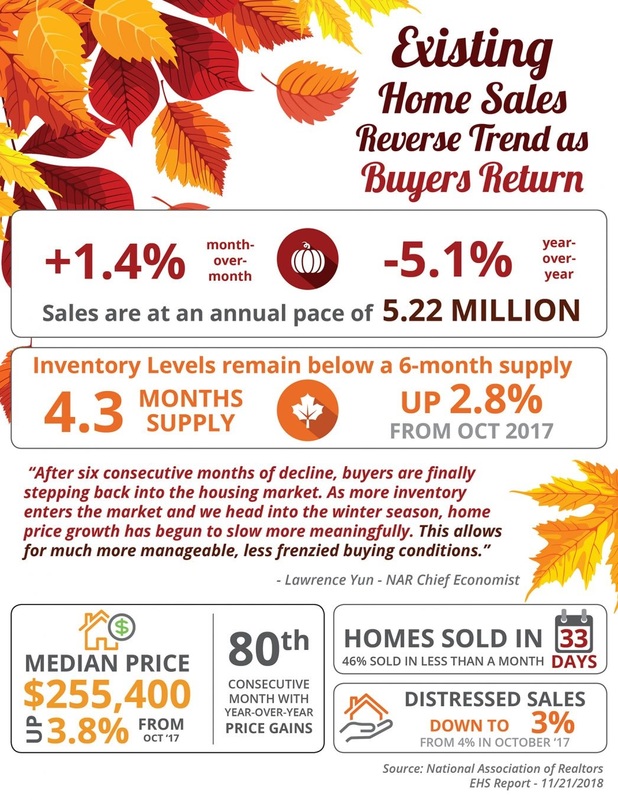 NAR’s Chief Economist, Lawrence Yun, had this to say: “After six consecutive months of decline, buyers are finally stepping back into the housing market. As more inventory enters the market and we head into the winter season, home price growth has begun to slow more meaningfully. This allows for much more manageable, less frenzied buying conditions.